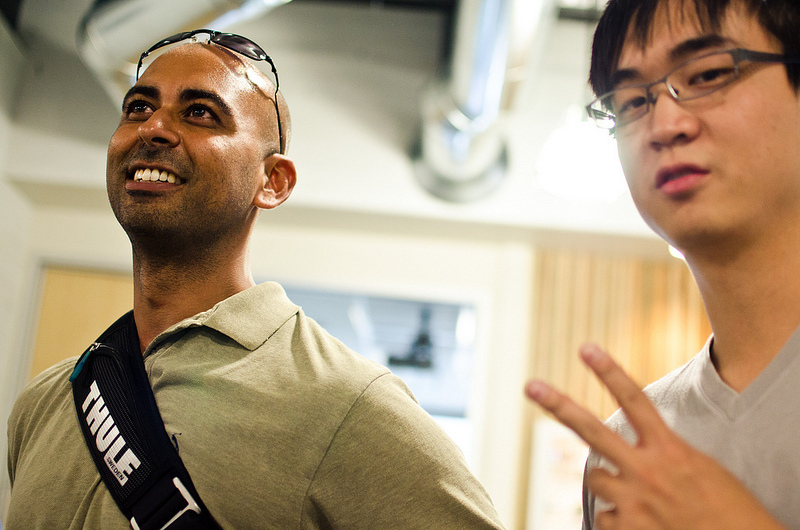 This past Friday 3DayStartup embarked in a new direction. 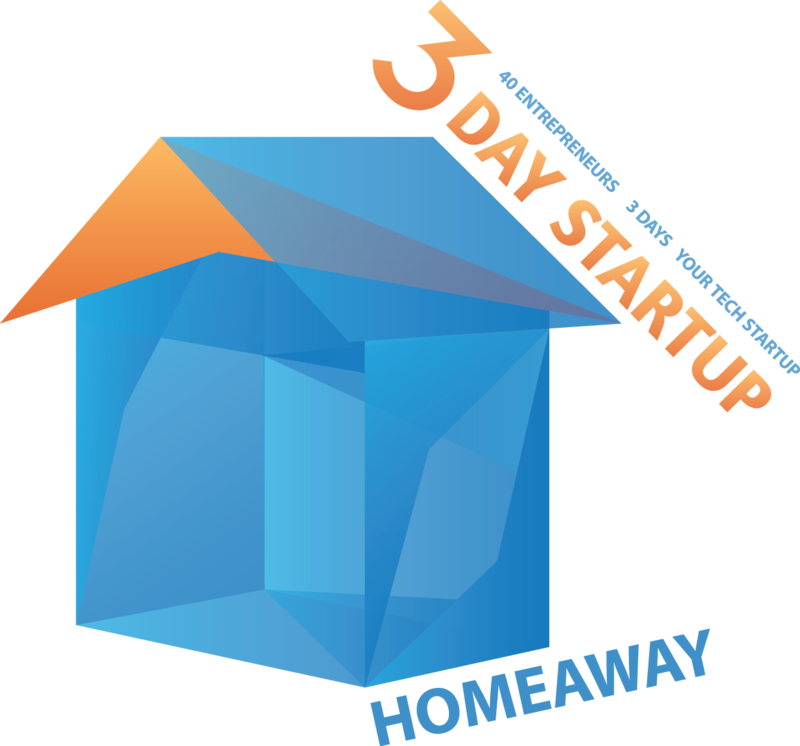 Typically the participants come to the weekend with a wide range of ideas and must work to develop a prototype and business model within 72 hours; for 3DS HomeAway, however, the scope is focused on innovations within the travel industry. As the group of students and entrepreneurs gathered on Friday, the excitement was palpable—in a twist on the usual approach, this time the participants had access to the rich travel market data compiled by the HomeAway team as well as expertise and feedback from the in-house staff. Some attendees were veterans of past 3DS events, others completely new; regardless, all participants were ready and excited to utilize the immense resources and brainpower available to them. A host of interesting ideas were pitched on Friday night, ranging from collaborative travel message boards to revolutionizing the wedding travel industry. Some were scrapped immediately, and a few morphed into entirely new concepts. The rest blazed ahead, embracing the exhilarating challenge of turning their dreams into reality. Each team sought to fix an issue, or exploit a niche, within the travel industry. For example, 3DS participants believed one problem in the vacation rental industry is validating renters; Gamify seeks to make the vetting process fun for users by doing what the name suggests—making the validation a game whereby a renter can “rank up” as they improve their track record. 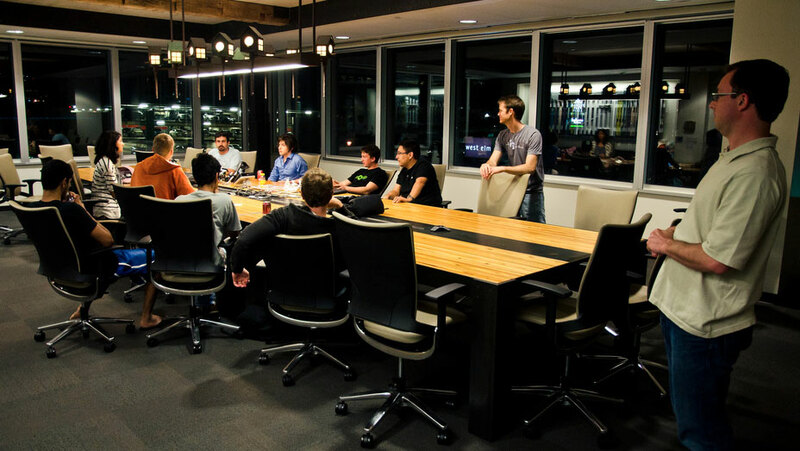 Fueled by energy drinks and an indiminishable supply of snacks, the teams diligently worked until the night bled into the early hours of the morning. 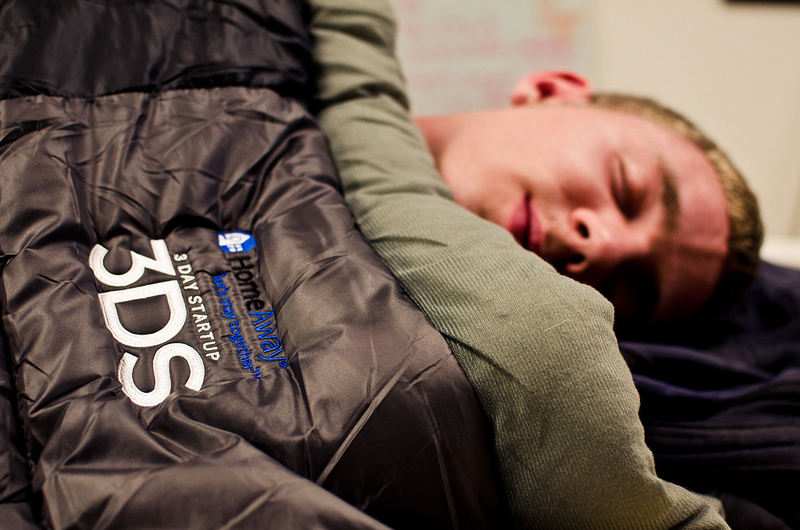 Close to midnight, the HomeAway team handed out customized sleeping bags–a perfect nod to their own mission, and an explicit recognition of the fact that students would be spending the next two nights sleeping in all parts of the vast HomeAway headquarters. As participants roused from their makeshift sleeping spots and began work Saturday morning, it became apparent that the atmosphere had a distinctly different feel than the previous night. Friday is traditionally one of the most fun days, with great ideas coming together amidst the controlled chaos. By Saturday however, a focus arose within the groups that honed their creations towards commercially viable products and services. In typical 3DS fashion, the attendees were kicked out of the building to do market validation and figure out what changes to implement before they develop their final pitch. Sunday night brought all the participants together one last time to pitch their revised and improved ideas in front of the HomeAway team. In addition to the usual setup of projector and microphone, there were also cameras that broadcast the entire event to event to over 1000 HomeAway employees across the globe. When the teams began their pitches, it was evident that from conception on Friday to execution on Sunday, something incredible had occurred. The final presentations were polished and professional, garnering the interest and respect from all gathered to watch. The feedback from the panelists was poignant, and oftentimes showed the participants new avenues to explore or room for improvement. Going forward from the weekend, it will be exciting to see what directions each of the nascent companies take and the impact they will have on the travel industry.